The Lab has been working in collaboration with Canterbury Museum on a crowdsourcing project with the G. R. Macdonald Dictionary of Canterbury Biographies held by the museum. 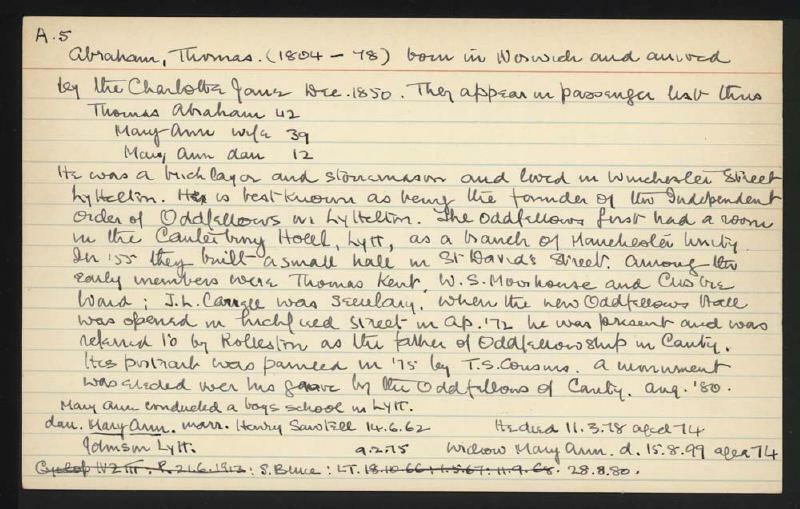 The Macdonald Dictionary, presented to Canterbury Museum in 1964 and comprised of over 22,000 index cards, provides an extensive collection of biographical information the Canterbury region. The Dictionary, however, lacks indexed information on women, as the biographical cards were traditionally organised by the male heads of the households. The crowdsourcing project uses the open-source crowdsourcing tool PyBossa to enrich the data of these biographical cards, and properly index the women’s names featured in the Dictionary. An initial trial of the crowdsourcing project has been completed, and the results are currently being evaluated.